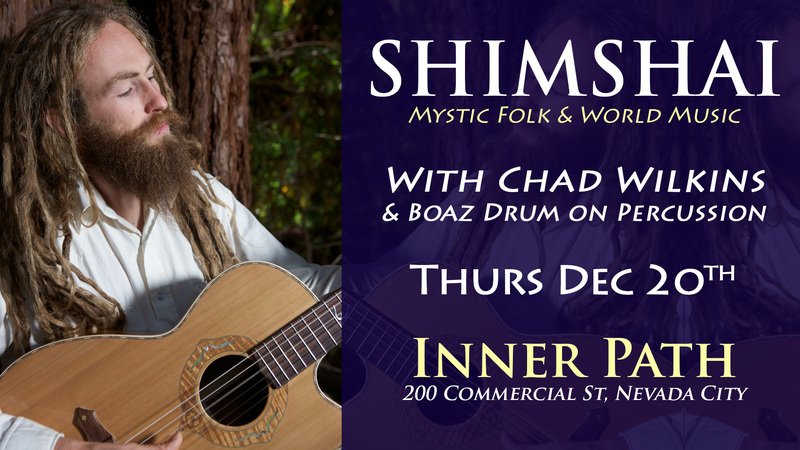 Join us for a night of mystic folk, world music and acoustic reggae with Shimshai, up close and acoustic joined by local Boaz Drum on percussion. 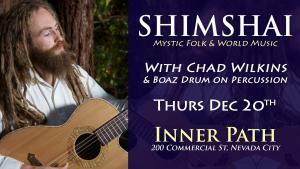 Chad Wilkins will open the night and provide his support to the evening with his own rootsy folk music. There will be a bit of something for everyone- internal reflection and meditation thru chanting and sacred world music, and time to liberate and move to some more upbeat and acoustic reggae jams all with inspiring and uplifting lyrics of truth.